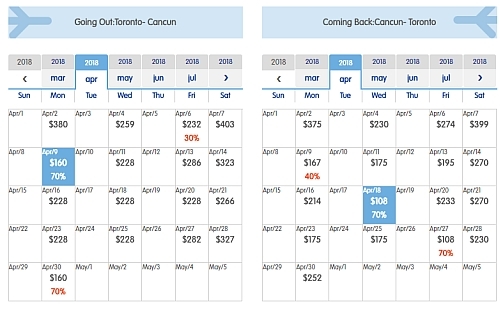 Interjet has dropped the price of their non-stop flights from Toronto to Cancun, Mexico down to between $231 and $268 CAD roundtrip including taxes. 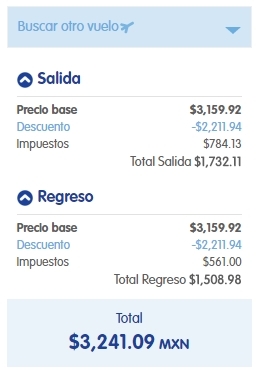 Interjet's prices do not include checked luggage, only a personal item and carry-on (max 10 kg). If you're comfortable booking in Spanish, you can book these flights for $231 CAD roundtrip. Non-stop flights from Toronto to Mexico City are also available for $306 CAD roundtrip ($273 CAD if you book in Spanish). 2. In the top right corner, change it to EN-CA, to make sure you are on the $CAD version of the website. - Once your search completes, try clicking on 'See Complete Month' - which will show you a calendar view of the cheapest fares. - Look for flights that are listed as 70% off. 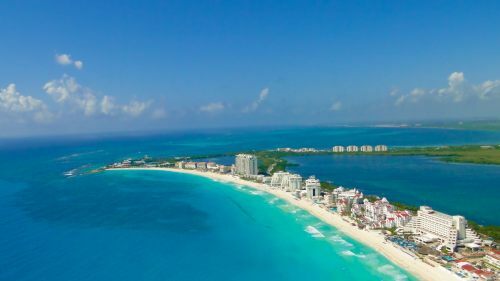 If you're comfortable booking in Spanish, you can book flights from Toronto to Cancun for $231 CAD roundtrip, and to Mexico City for $273 CAD roundtrip. 2. In the top right corner, change it to ES-MX, to make sure you are on the Peso currency version of the website. The cheapest prices should show up as $3,241 pesos for a roundtrip flight to Cancun. If not, you can click on 'Visualiza todo el mes' to open up the calendar view and look for the date combinations that add up to this price. When booked with a Canadian credit card, $3,241 pesos will work out to $231 CAD roundtrip based on today's exchange rate, and including the typical credit card foreign exchange fee. You could also open two browsers, and have one open to the English version of the Interjet website, and one open to the Spanish version, to help walk you through it. NOTE: When you get to the 'Buyer/contact' page and it requires a 5 digit zip code, you can just use any zip code from Mexico. Such as: 77537 - a zip code in Cancun. 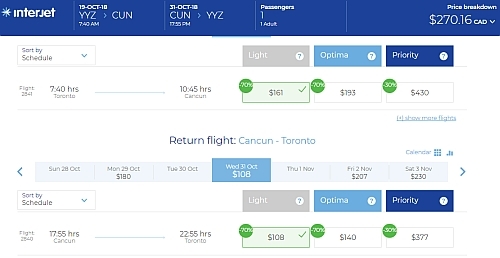 Update 3/28 - Interjet is showing non-stop flights from Toronto to Cancun, Mexico in October for $270 CAD roundtrip, or $230 CAD if you book in Spanish. They are also including a checked bag and carry-on on these dates. toronto, yyz, flight deals, cancun, mexico, cun, mexico city, mex, north america and interjet.